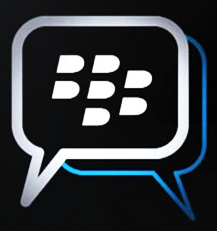 With all that has kept Blackberry from releasing its Messenger tool (BBM) on the iOS and Android platforms, it might be no surprise to see the product scrapped. To get from an expected launch to an eventual install it would take almost exactly a month. Blackberry has publicly blamed all this on a re-release version of the tool on Android, but little else is known. Now that I have BBM, I can share my thoughts on this new tool, and how this may affect the future of other related applications. Yesterday I wanted to contact a colleague. I had already taken a picture of the job site and started off by sending him a text (SMS) message . Very quickly I realized that he may not be able to receive a picture, and since he used a Blackberry without alternative chatting options, I was going to have to send this picture attached to an email with little context. As far as technology has taken us, the difficulty of simple everyday communication is surprisingly prevalent. Most users have so many choices, that having any sort of standardized communications service is impossible.